A triathlon is a multiple-stage competition involving the completion of three continuous and sequential endurance disciplines. 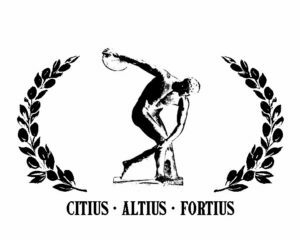 While many variations of the sport exist, triathlon, in its most popular form, involves swimming, cycling, and running in immediate succession over various distances. The order of a traditional triathlon swim/bike/run is based on two things: safety issues and smooth transitions. All race organizers want to keep their participants safe. Triathlons are grueling tests of endurance, but they shouldn’t put anyone’s life at stake. 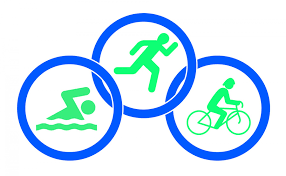 How long is an Olympic triathlon? If you’ve been watching the Olympics, you might have assumed that the medals given out are, as advertised, made of gold, silver, and bronze. Due to metal values, however, the reality is slightly more complicated. Giving out pure gold medals would be financially crippling for the International Olympic Committee, so unsurprisingly some compromises are involved. This graphic looks at the different metals used. What Are Olympic Medals Made Of? What do you think Olympic medals are made of? Are the gold medals really gold? They used to be solid gold, but now Olympic gold medals are made from something else. 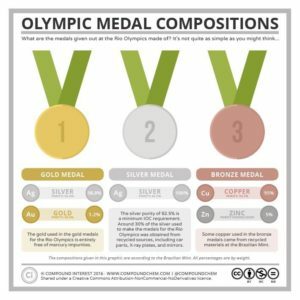 Here’s a look at the metal composition of Olympic medals and how the medals have changed over time. 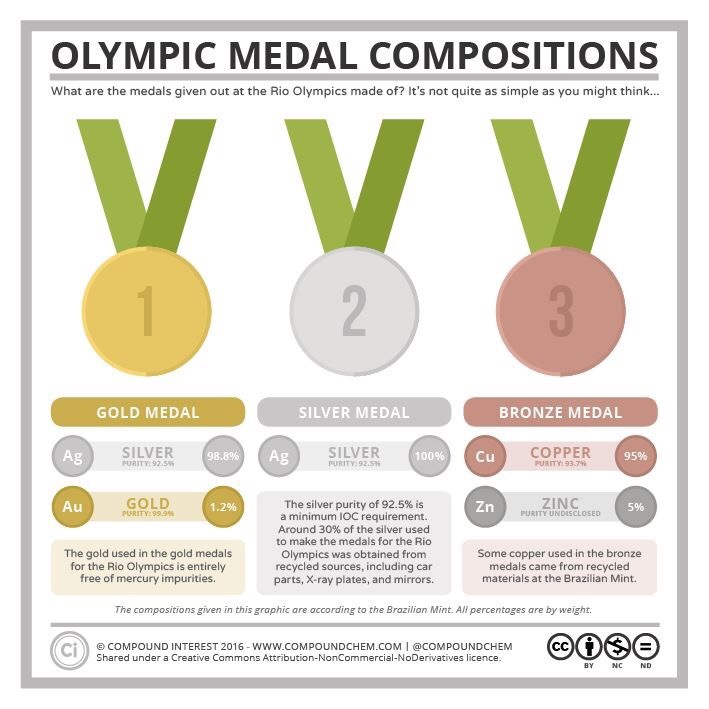 Gold and silver medals are 92.5% silver. Gold medals must be plated with at least 6 grams of gold. All Olympic medals must be at least 3 mm thick and at least 60 mm in diameter. Continue reading What Are Olympic Medals Made Of? The Torch was designed by east Londoners Edward Barber and Jay Osgerby, who won the opportunity through a competitive tender run by the London 2012 Organising Committee and the Design Council. The vision for the London 2012 Olympic Games to combine three bodies of work – sport, education and culture.